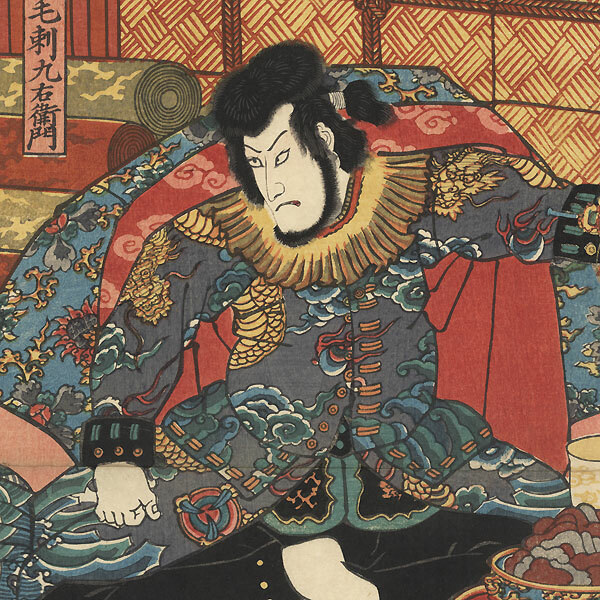 Comments - Terrific scene from a kabuki play about the pirate Kezori. 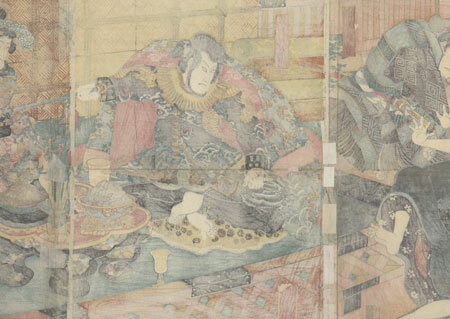 The merchant Soshichi books passage on Kezori's ship, which is also carrying his sweetheart, the courtesan Kojoro. When Soshichi accidentally witnesses the robber and his gang smuggling from a barge, they throw him overboard. 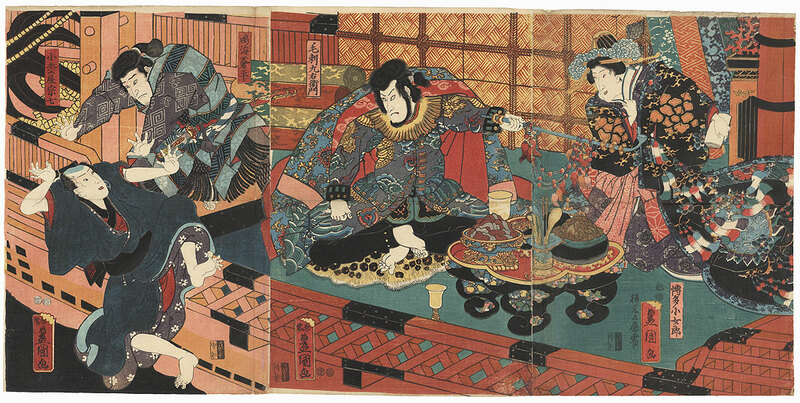 At left, one of Kezori's men pushes the hapless Soshichi overboard, a worried frown on his face as he follows orders. In the center Kezori extends his pipe in front of the beauty to restrain her. He sis on a leopard skin, wearing a button front jacket over black pants, an array of food spread out on a low lacquer table before him. A great image with wonderfully expressive figures and a handsome setting, detailed with burnishing on the black pants and Soshichi's black collar and obi. Condition - This print with excellent color and detail as shown. Three attached panels. Vertical fold. Horizontal centerfold. Slight separation at ends of vertical folds, a few wormholes, repaired. Slight soiling, a few creases, slight rubbing at edges. Please see photos for details. Good overall.